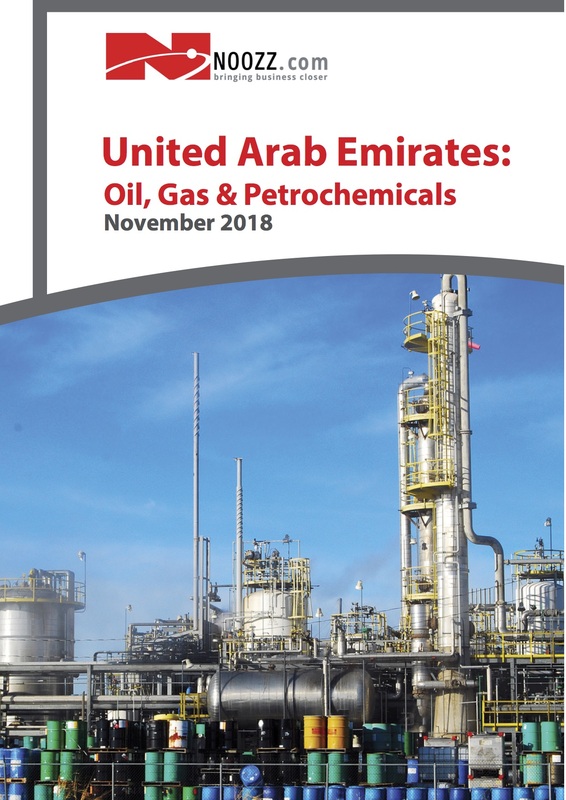 In late 2017 the UAE announced that it is on track to ramp up its oil production capacity to 3.5 million barrels of oil per day and plans to boost its re ning capacity by at least 60%. The total estimated value of active UAE oil and gas projects exceeded US$ 63 bn in 2017, re ecting strong investment in infrastructure and energy output by key players in the UAE. The projects account for 8% of the total estimated value of oil and gas projects in the region. The combined value of 361 active oil and gas projects in the GCC crossed US$ 331.4 bn in 2017. These numbers follow the announcement of high value projects such as Borouge Petrochemicals Complex Expansion worth US$ 2.5 bn and the re-development of projects such as the phase one of Zadco Upper Zakum full eld development. Two top oil and gas projects awarded in the third quarter of 2017 were package C of ADCO South East full eld development in Abu Dhabi worth US$ 220 mn and interconnecting pipelines worth US$ 100 mn, which is part of the upgrade of Jebel Ali re nery in Dubai. Seven oil and gas projects with an estimated value of US$ 1.7 bn were completed during the quarter in the UAE. Hopes by the UAE government for a rebound in growth in 2017 were boosted by a snapshot index of the non-oil private sector that showed the economy was growing at a faster pace. The survey of purchasing managers by Emirates NDB showed the headline index was 56.5 in June, up from May’s seven-month low of 55.0 and above the long-run series average of 55.2. It was also well above the 50.0 point that marks the line between expansion and contraction. In ows of new business continued to rise for the 16th consecutive month during June. The combina- tion of more projects, promotional activities and in ows of new business contributed to greater business activity, according to anecdotal evidence. However this was o set by a new forecast by the International Monetary Fund of growth of just 1.3% in 2017. The outlook published in its May 2017 Article IV assessment of the economy came just a month after the Fund has pencilled in growth of 1.5% in its world economic outlook. The IMF cut growth in its April 2017 WEO to 4.4% and 3.3% in 2018 and 2019 rather than 3.1% and 3.4%. It has forecast 3.5% for 2020. The non-oil private sector in the UAE enjoyed another month of improvement in business conditions in May 2017 albeit at a slower pace.